The January 2019 contest is to create a sculpture using only 9-Triangle subunits. A maximum of 192 of these subunits can be used, in other words 1728 Zen Magnets maximum. Photos due at the end of January. Building with subunits is great because they’re easy to take apart from each other, making sculpture modification and experimentation especially easy. Some subunits are a bit more stable than others. The 9-Triangle is relatively delicate compared to hexagon sheets, as the triangular corners shift back into a loop if you drop it, or connect them out of compatibility, or look at them too sternly. You might just be surprised how many objects can be fashioned by focusing on the surface curvature of triangle sheet quilts. This is a sequel to Contest 21 which took place in 2012. 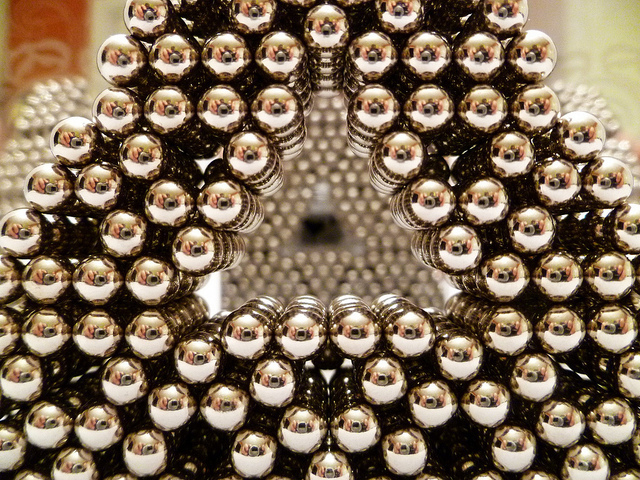 Maximum 1728 Zen Magnets. No minimum. 9-Triangle subunits only. All magnets in the sculpture must be identifiable as 9-Triangles. 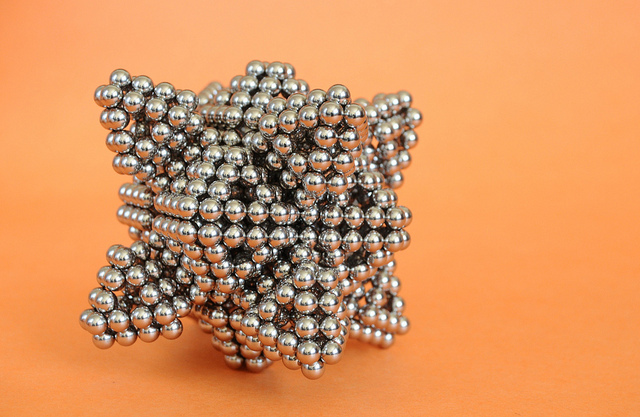 Zen Magnets only, no Neoballs, Micromagnets, or other support structures. As usual, the judges will be your peers. Pay attention to resolution, focus, lighting as framing. Use not your bright reflective flash, but instead a self timer and a tripod (or stand.) Sharp, high resolution pictures are preferred. $300 in prizes is up for grabs. Distribution will depend on participation, but based on past participation we’re expecting to award an average of about $30 per contest entry assuming approximately 10 participants. First prize will get $100 or more. Everything you submit goes into the public domain.